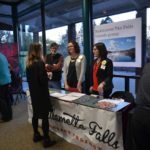 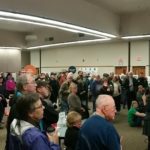 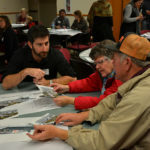 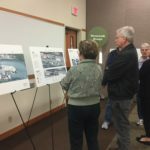 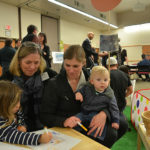 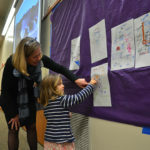 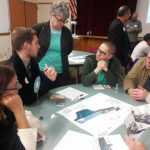 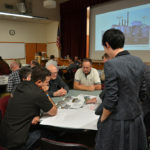 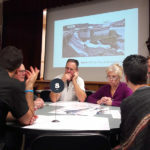 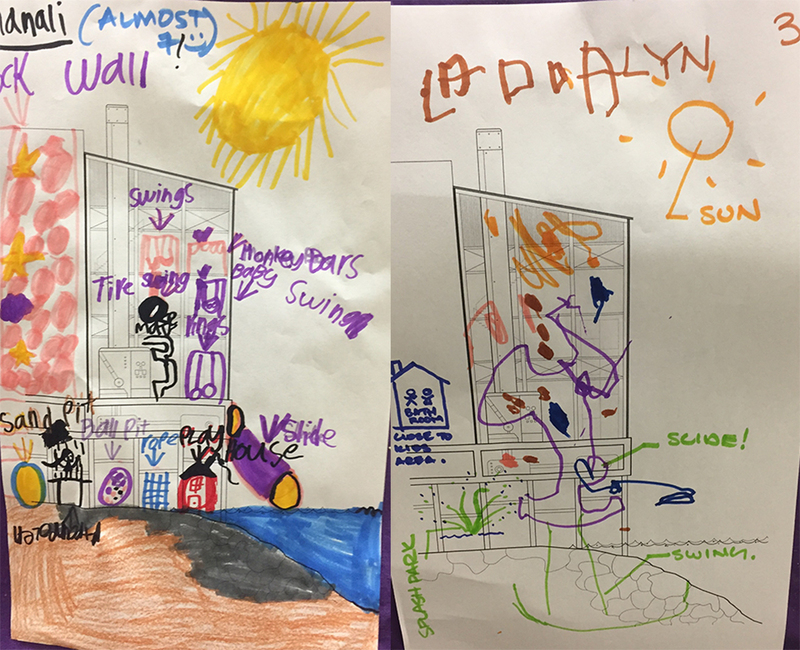 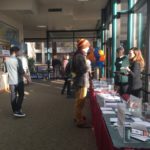 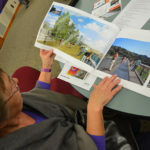 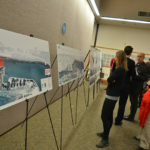 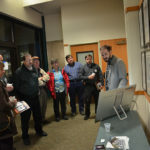 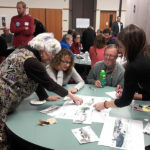 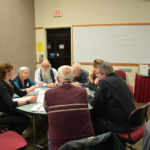 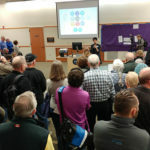 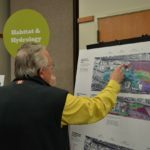 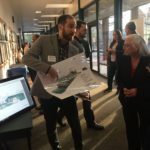 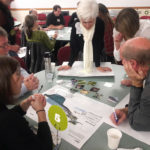 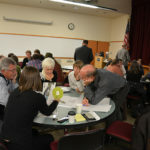 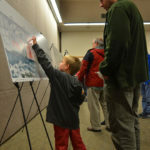 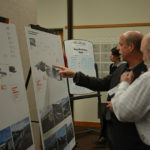 On November 17, project staff, riverwalk designers and dozens of enthusiastic volunteers welcomed participants to an open house in Oregon City to experience riverwalk design alternatives. 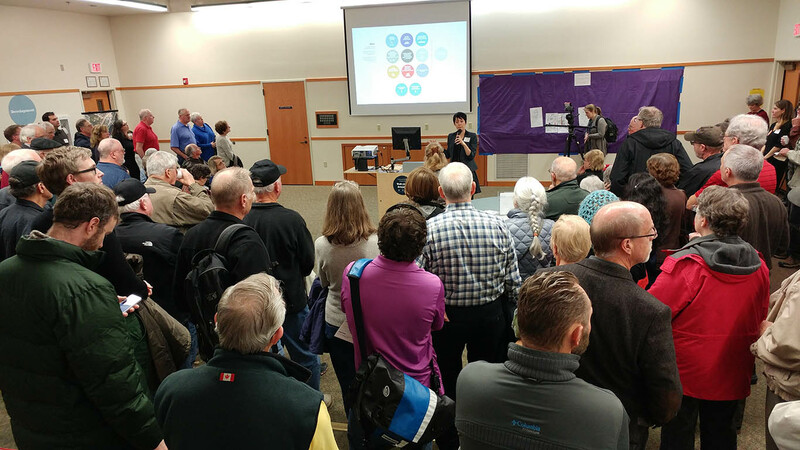 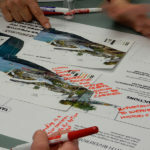 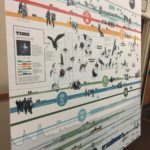 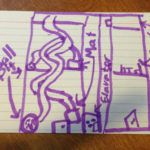 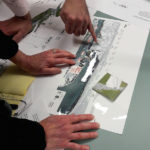 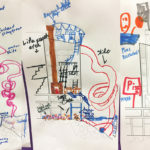 Those who came to the event held at Clackamas Community College were able to join collaborative design workshops, hear Michelle Delk from Snøhetta speak about the design process, take in the many large visual displays and ask questions about the project. 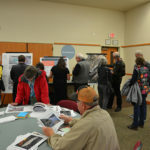 We appreciate the community's support and feedback! 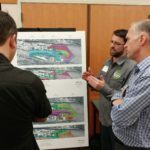 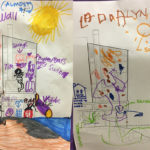 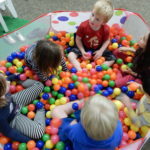 For those who could not attend, please share your opinion through our online design survey - we want to hear what you think! 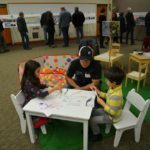 We also want to express a huge thank you to Clackamas Community College's Environmental Learning Center for sponsoring the event!